A year back on Nov. 8, Modi decided to turn 86 percent of currency into worthless paper to curb corruption, crack down on unaccounted wealth and catch tax evaders. While liquidity has improved since, as Indians deposited 99 percent of the void bills, jewelers are still not happy as continuing efforts to curb the vast cash economy have hurt their business the most, they say. 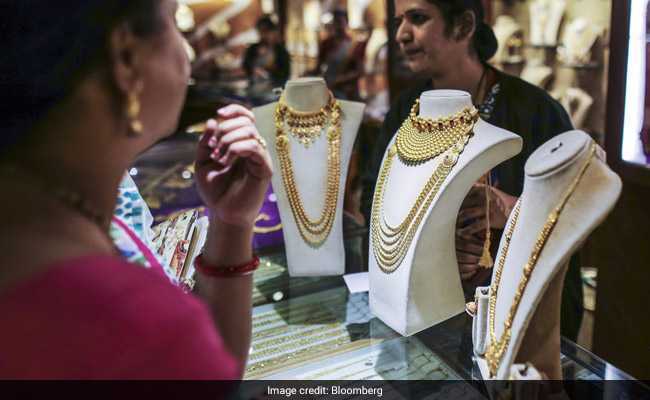 For jewelers in the world's second-largest gold market, business is yet to recover from the slump that followed India's decision to ban high-value currency notes a year ago. Ask Bachhraj Bamalwa, who has spent four decades in the industry. As Prime Minister Narendra Modi prepared to address the nation last November to announce demonetization, Bamalwa was busy wrapping up a quiet and uneventful day. Recovering from heart surgery, the 57-year-old father of two was home by the time the premier finished his speech. What followed was a barrage of calls from his wealthiest customers, requesting Bamalwa to open his shop and sell his stock in exchange for their old notes, a risk he wasn't willing to take. "It was a night we can never forget," Bamalwa said by phone from Kolkata. Add to it the drop in disposable incomes thanks to slowing economic growth, which is now at a three year-low, and a disruptive roll out of the goods and services tax, also known as GST, in July this year. "The 8th of November was the last day a jeweler may have smiled, after that he has been crying," Ketan Shroff, joint secretary at the India Bullion and Jewellers Association Ltd., said by phone from Mumbai. "It was a double hit for the industry with the demonetization and then the GST, so things will take more time, maybe a quarter or two to get streamlined." Gold demand in India, which is next only to China, tumbled to the lowest in seven years in 2016 to 666.1 metric tons. It is unlikely to change this year too, according to the World Gold Council, which sees local purchases between 650 to 750 tons this year. Metals Focus Ltd., a London-based precious metals consultancy, pegs consumption at 700 tons in 2017. In the past year, the sector has also been hurt by tougher requirements for buyers to prove their identity before a purchase, and the capping of the amount of cash used in these transactions. Then, just when demand started to stabilize, the government introduced a new national sales tax in July and for a brief period brought jewelers under an anti money-laundering act in August, throwing the industry into turmoil. Demand is unlikely to hit about 846 tons, the average consumption in the five years through 2016. While sales are likely to pick up pace, "there will still be that hesitancy about buying gold under the transparent system that is now playing out," the council said in August. Rural residents were hurt the most by demonetization because they use cash almost exclusively, from buying clothes or food to paying for weddings. Those communities, dependent mostly on agriculture, account for about 60 percent of India's jewelry purchases. The small and unorganized trade has borne the brunt of the changes as sales have dropped while costs have risen. They are now trying hard to woo consumers while complying with the new regulations that the government introduced in the last year, said Shroff. "I don't think anybody will take a risk at this level. The way the government is moving, no jeweler would like to be blacklisted now." Modi's administration is trying to discourage the physical purchase of gold and that is affecting the industry as well, he said. During the Hindu festival of Diwali this year, the peak season for demand, the government introduced a new series of sovereign gold bonds that would attract more savvy investors as they would get exemptions like income tax benefits, he said. The one silver lining of the ban has been greater transparency with the shift to digital payments and the move to more organized jewelry retailers. In urban areas, cash payments have come down by about 40 percent in the past year, said Bamalwa, who was a former chairman of the All India Gems & Jewellery Trade Federation. "The government must understand the very culture of this country and the people of this country. These habits cannot change overnight," he said.